NoMouse: I love it! Van Gogh is one of my favourite artists, anything Starry Night, and I am there. I vaguely recall something similar, way back, but I don't think it was the night scenes. Has anyone OTTified 'Once More With Feeling' yet? Would anyone mind a repeat if so? EpilONG continues http://imgs.xkcd.com/comics/time/f9285e7e40d7b47d9d6a3bc37216cc4199a5ab8adc23c3ea94596858b17d4496.png Blindposting still.. but this is where mscha's viewer ends. This was hours H ago. It really is over, isn't it? :( H Heretical time measurements... or maybe not any more. I'll be with you in the present in a bit. If there's still a present..
taixzo wrote: Anyway, molpy down. What on earth? Is that some sort of bird-of-paradise hedgemolpy? 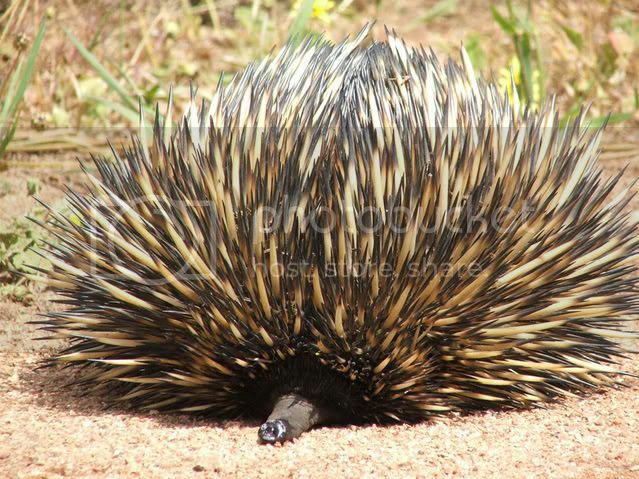 It's an echidna! Australia: The same animals, but crazier. It has just occurred to me that I have a 'minimum font size' restriction set in Firefox. I opened the page in Chrome, and then I got it. I puzzled over the one that was just ______ for a moment, the others didn't look like that on my screen.